Human foot, 3D coloured computed tomography (CT) scan. The ankle joint is where the tibia and fibula bones (of the lower leg) articulate with the talus bone of the foot. 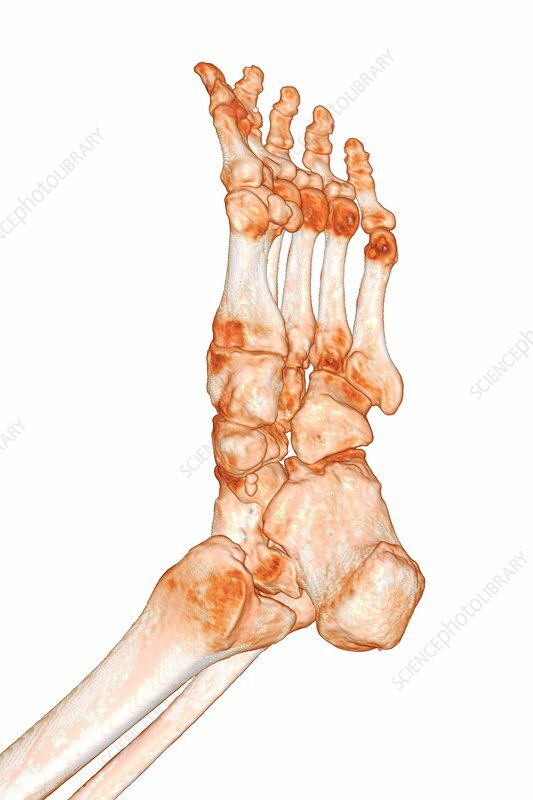 The prominent bone at the rear of the foot is the calcaneus (heel bone). The other bones are those of the mid-foot and toes.